Voices rumbled against the Siq’s walls. Braying donkeys echoed through the canyon. Camels honked and the din grew louder. “What is going on?” Louise asked. Breaking into the sunlight, we found ourselves in a market square directly in front of the Treasury. 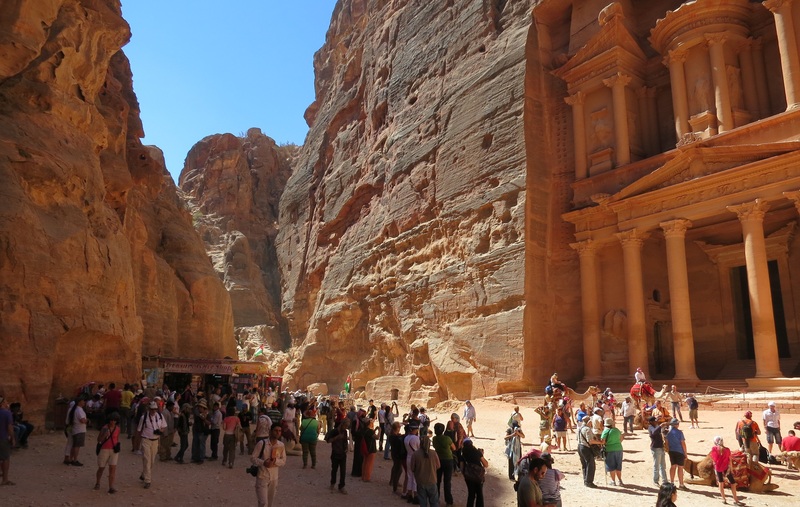 Petra continues to be a thriving city. Coffee shops and gift stalls surrounded small herds of donkeys and camels waiting to transport the weary. Children and women peddled jewelry, scarves and souvenirs made in China. Dirty boys walked around selling postcards. Young men showcased their horse riding and rock climbing skills for the young women. Even in its ruined state, the Treasury is magnificent and lively. I easily imagined the Romans, Arabs, Egyptians and other foreigners converging and trading both goods and stories. We snapped photos and enjoyed the scene. However, it would have been nice to have a little distance from the hundreds of “other” tourists snapping photos. “I am sorry. There has been trouble,” he informed us, giving us a look “if you only knew”. Hmmm. 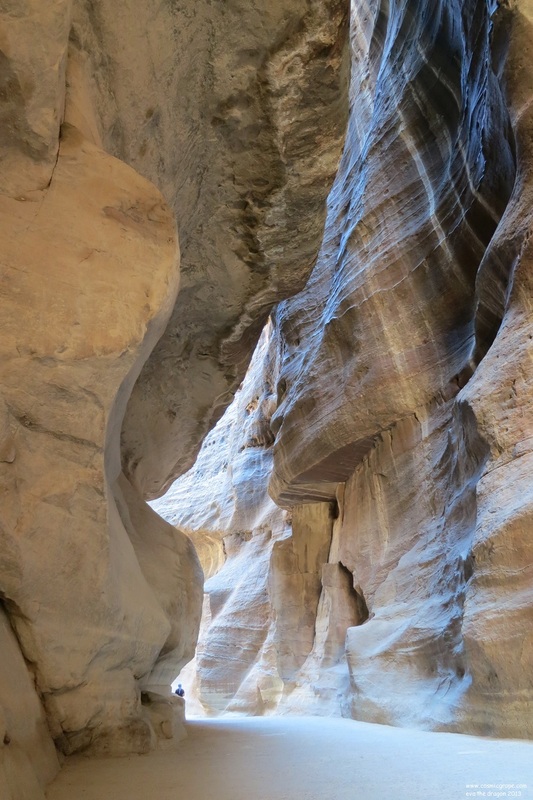 The Bedouin run Petra. If there was “trouble”, it meant they were crossed. Still, we were happy. It was a beautiful day. There was a lot more to explore. I sipped tea as Louise interrogated the security guards about the whereabouts of the elusive Marguerite.